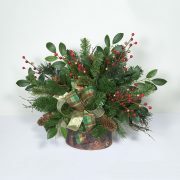 A simply gorgeous Christmas arrangement! 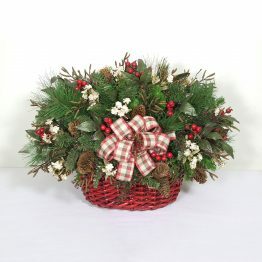 Pine branches combine with ferns, silver-dollar eucalyptus, cedar, pine cones, and red berries. 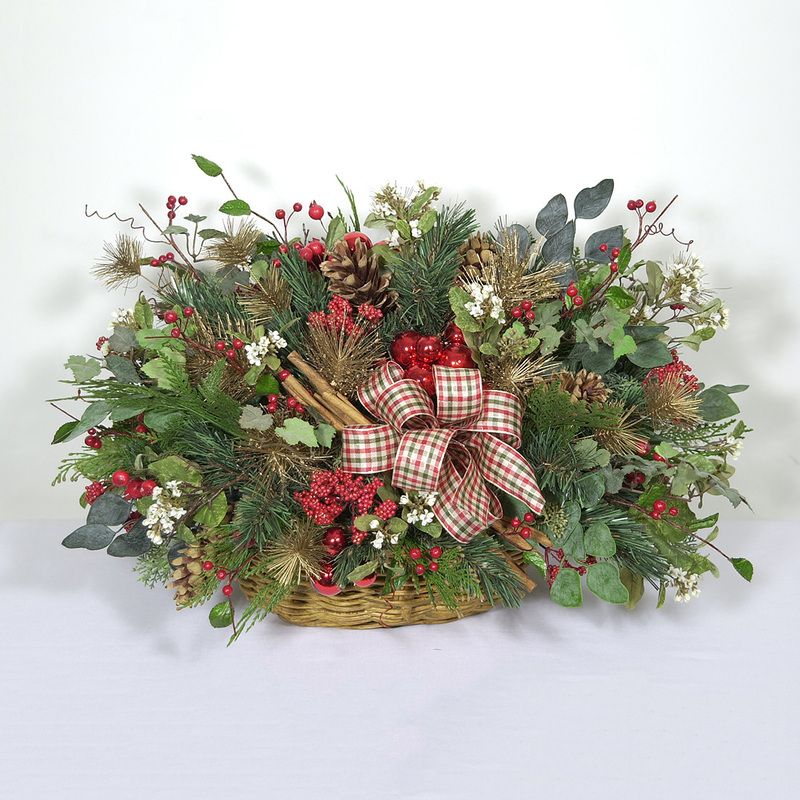 White flowers, cinnamon sticks and ivy, along with a checked ribbon and bow, add the final touches.